Johannesburg - One of the most positive outcomes from the 10th annual Brics Summit was the clarification President Cyril Ramaphosa gave to his Russian counterpart, Vladimir Putin, on the nuclear issue. This is according to Lumkile Mondi, senior lecturer at the Wits University school of economics. "The nuclear thing remains an albatross around our neck," Mondi told Fin24 on Friday. According to Presidency Spokesperson Khusela Diko, the memorandum of understanding (MoU) for nuclear cooperation, signed with Russia previously, formed part of the bilateral talks between the two countries on Thursday, which took place on the sidelines of the Brics summit in Sandton. Ramaphosa took the opportunity to explain to Putin that South Africa was currently unable to afford a multi-billion-rand nuclear build programme. Moscow has been pursuing nuclear energy expansion in Africa, and state-owned company Rosatom is building a nuclear power plant in Egypt. It signed an MoU with Rwanda in June. Mondi questioned why other countries such as France, the US and South Korea, who also signed MOUs for nuclear cooperation with Pretoria, haven’t asked about the agreements. "Why did Putin believe it was his?" Mondi commented. 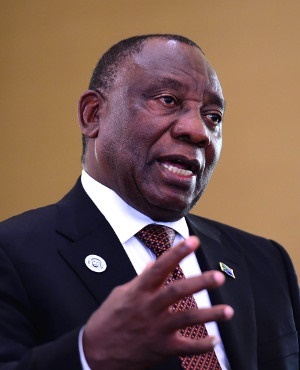 Speaking at the World Economic Forum in Davos in January, Ramaphosa said the country was unable to afford nuclear power. Fin24 reported earlier that In April 2017 the Western Cape High Court ruled that certain of the state's decisions around the procurement of nuclear power were unlawful. In June, Energy Minister Jeff Radebe said SA no longer had an agreement with Russia to build nuclear power stations due to the court ruling. Mondi said that SA hosting the Brics summit was a chance "to re-establish ourselves" internationally, and proved that Pretoria could handle different interest groups. "This is what we lost under Zuma…that role of playing peacemaker; we became rouge." Mondi warned, however, that SA shouldn’t over-commit itself financially to Brics institutions such as the New Development Bank (NDB) and the Contingency Reserve Agreements, as the country had other multilateral commitments such as the African Union and the International Monetary Fund. Pretoria should also take the public into its confidence and reveal the terms of loan agreements, with a R33bn figure from the China Development Bank going to Eskom, and Transnet receiving R4bn from the Industrial and Commercial Bank, according to Mondi. African countries and other emerging markets, including Argentina and Turkey, had an opportunity on Friday morning to address the five Brics heads of state and hold bilateral meetings. Mondi said that it was difficult for smaller countries on the continent to gain access to world leaders, and SA provided a platform for this.